I think because its winter and we have been dreaming about future holidays I am kind of longing for spring and greenery. I just want lots of green things in my life right now. We have been gradually adding some bits of greenery around our house (and trying not to kill them) - but I still want to add more. Also, from my green Pinterest scrolling I have noticed that green seems to work so well in interior decorating. Check out this all green house! We have a green wall in our house and now I want more! 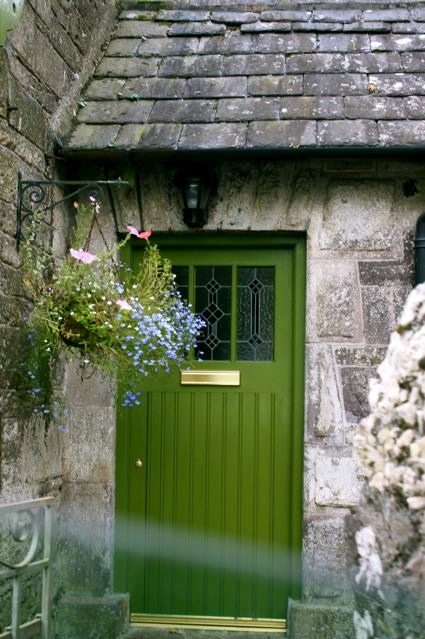 Also this green door is a beauty! 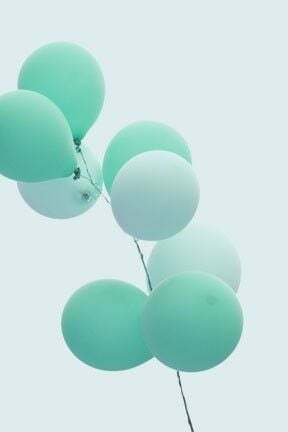 For today's Moodboard Monday I am sharing a bit of a green themed moodboard of things I have been gravitating towards on Pinterest recently. Hope you all have a lovely and inspired week! Guys, I am back and it feels good! After some pretty sporadic blogging over August I am back into the swing of things now and posting will resume as normal, 3 days a week again. I think this summer has been a good lesson in being a bit more realistic in what I can achieve. It has been good to have a bit of a break though and so I am thinking that maybe once a year I will take a month off the blog (probably in August) to recharge and get new ideas etc. So I thought I would kick things off with a Moodboard Monday to get me ready for the week ahead. I have lots of fun things coming up over the next few weeks to share with you including some new products. I will also be sending out my first ever email newsletter (eek!) which you can sign up to in the side bar if you so desire (I really think you should haha!) . How beautiful are these images. They are things that have been floating across my screen recently and getting me inspired to create. Click on the images to go to the sources. I hope you all have a lovely Monday and that you are enjoying the change of season! Having being super organised and scheduling all of my posts while I was away, yesterday I totally fell off the blogging wagon and didn't get my Monday post up - So here we have a Tuesday moodboard! I decided this week I needed some inspiration and a pick me up after such a lovely holiday so I put together a moodboard of all things blush! I am not really a girly girl and pink is most definitely not my colour, but a few weeks ago I started spotting lots of 'blush' things on pinterest so I decided to start a board and well I kind of got a bit addicted. There actually ended up being quite a few rooms with beautiful blush accents (or just full on BLUSH) that I liked, so I thought that would be the inspiration for my moodboard this week. Is blush a colour that you would ever consider decorating with? I don't think I EVER would have, but these pictures are really starting to change my mind. Click on the images to link their sources. I really love pinterest for discovering new artists that I might never have heard of otherwise. Some are super famous prolific painters and others are people with small etsy shops. Either way I kind of like getting lost down a rabbit hole of beautiful art. I have been tidying up my pinterest boards recently after going to a pinterest workshop at their London office and have also added a lot more boards. Anyway these are all from the prints board. I hope they inspire you on this Monday morning! Hope you all have a great week! It is time for another Monday moodboard to get you inspired for the week ahead (if you want to see more of them you can check them out here). After last month's brightly coloured swimming moodboard I have gone back to my beloved black and white for this one. Maybe I will get into the habit of alternating. 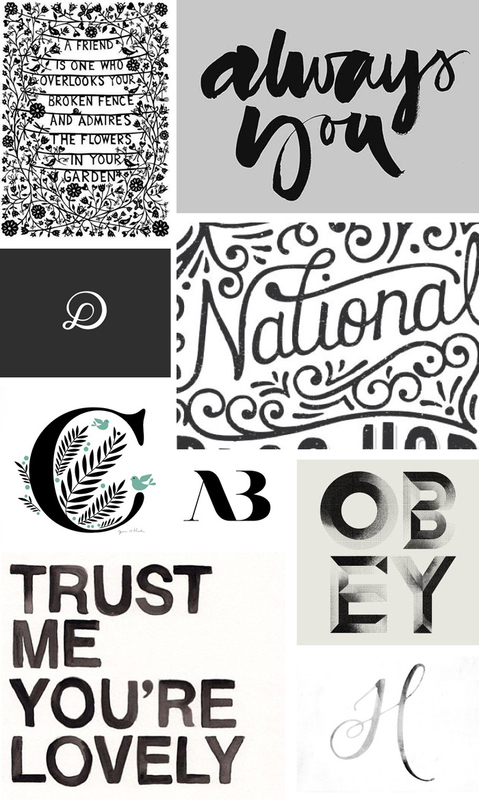 These are just a few of the lovely black and white things I have been spotting on Pinterest recently. Hope you have a wonderful Monday and a week full of inspiration. I don't know why but I recently realised that I was obsessed with swimming illustrations. I like swimming and everything but I am not a fanatic, but I just think these illustrations are all beautiful and so fun (ok so the one below to the right is more sunbathing than swimming). Anyway I thought I would collect together some of my favourite swimming illustrations for my moodboard this Monday. If you click on the images it will take you to the sources. Hope you all have a wonderfully inspired Monday! It has been a little while since I have done a black and white moodboard so I thought I would indulge my monochrome pinterest addiction and get myself inspired this Monday morning. Looking at these above reminds me how much I need to make time to just experiment with making marks and patterns. We just spent a lovely long weekend in Dorset so there will definitely be lots of colour later in the week. A bit of inspiration for a Monday morning. These Monday mornings in January can be a bit tough but I'm trying to keep myself inspired and motivated to start the year well. I seem to have been going through a bit of a pink phase with some of my recent designs (which is strange as I am not a very pink person) - so I have decided to run with it and create a bit of a pink moodboard. I probably need to give my black and white moodboards a bit of a rest for a while. I did a bit of painting at the weekend too and hand inked 'moodboard monday' to go on all these moodboards. I haven't done a moodboard in a while so thought I would start as I mean to go on with a bit of inspiration from good old pinterest. (sadly couldn't find a lot of the original sources for these - that does frustrate me about pinterest sometimes) you can follow me on pinterest here. Hope you all have a lovely monday. So - I sort of fell off the blogging bandwagon this last month. I have not been very well..I went away and in the mix of life and just trying to get better the blog fell by the wayside. I have kind of missed it but at the same time it was kind of nice to have a break too. I thought to kick start myself back into it I would do a little mood board for some Monday inspiration. I am going on holiday in a couple of weeks so there is lots to cram in before we go...but hopefully I will be able to resume slightly more regular posting now! I decided to go black and white again for this mood board...because I don't know why but my b&w pinterest board has been inspiring me so much recently. In other news I wish I was Audrey Tatou. also that Tree pattern is wall paper - that would look amazing. A little project I am working on at the moment is growing courgettes. My dad has given me a helping hand and lots of advice. I germinated my seeds, re-potted them into bigger pots and then the weekend before last I finally put them in the ground. I am checking them every day to make sure the snails haven't got to them (our garden is FULL of snails) and hoping for the best! If all goes well in a couple of months I should have a lot of courgettes. In preparation of having more courgettes than I know what to do with I thought I would scour the internet for some good recipes and inspiration for using them up. (to be honest even with all these recipes I think there will be more than I know what to do with, so friends look out...some might be coming your way!) - I had to keep reminding myself that Zucchini is the same thing as courgette...anyway here are some of my favourites that I am particularly looking forward to trying out! 2. Courgette and Tomato soup...a friend of mine is growing tomatoes so I am hoping we can do a bit of a veg exchange...seriously it is like the good life round here! 3. I love that courgettes are so good for including in cakes and this one looks delish. It is a courgette, lime and pecan cake. 4. A courgette carbonara. This looks like it would be a great quick evening meal option...and hopefully with leftovers for lunch the next day. 5. Courgette noodles. So I have heard of people using courgette instead of pasta/noodles as a healthy option. I will be honest I am a little sceptical but this recipe does look really good so I am going to give it ago. 7. These courgette chocolate cakes look incredible...so glad I am growing a veg that is good for chocolate cakes. 8. And then this one blew my mind...a courgette pizza base...again am not totally sure about this but I really really want to try it. A few bits of pinterest plant inspiration to help me keep motivated in my new foray into gardening. The coriander is doing really well, basil not so bad and the parsley pretty poor with just one shoot. My courgettes, carrots and sweet williams are still in the germination phase. I have been thinking about patterns a lot recently. When I have a bit of spare time (Ha) I really want to try and make some of my own repeating patterns. There is just something so beautiful and satisfying about them. I started a new board on pinterest to keep them all (naturally). Here is a little moodboard of some of my favourite patterns this week. Check out the pinterest board to find them (and who created them) and also to see more - there are so many beautiful ones. Over the weekend I actually started combining some hand drawn patterns and type so will hopefully be able to post up some of my experiments on here soon! Also sorry for the lack of posting at the moment. I am only managing these monday moodboards at the moment...but hopefully will be able to do a few more posts each week soon! A few weeks ago I read this post about the perfect wardrobe by Madelynn Furlong recently, and it inspired me. My wardrobe has always been a jumble. Full of all different styles, colours and prints, things that don't fit any more, things that look tired and faded but that I can't throw away. I have realised recently that I get emotionally attached to clothing because they remind me of a particular time time of my life. Often I don't even like them or fit in to them anymore. Although I don't think there is anything wrong with having a wardrobe that is full of a variety of styles I feel like as I grow up I DO want to refine my style. Recently I have been so motivated for a big spring clean of my wardrobe and I have already taken a lot to the charity shop...but I thought as I think about buying some new items to replace old worn and falling apart clothing it would be interesting to be a bit more intentional and careful about what I buy. Here is my mood board of where I would like to see my wardrobe going. From these pictures I am realising that I want it to be mainly neutrals and simple colours. Black, White, Denim, Brown, Grey and Navy and white stripes, and then adding a pop of colour with accessories, bright blue shoes for example, or bright red lips/nails, or a brightly coloured clutch. My wardrobe used to full of so much colour, and don't get me wrong I love colour, but I really feel like this is where I want my style to be going. I want simpler, classic. Skinny Jeans, jumpers, t-shirts and loafers will be the staples of the wardrobe with the odd smart blouse and heals to dress it up every now and then. It is quite interesting to think about my wardrobe in this way - a bit more thought out and planned. To see where I found all the images above check out my style board on pinterest. I have been getting really into baking recently. While cooking stresses me out, I find baking relaxing and enjoyable (as long as there is no time pressure!). I think I am doing pretty well on the taste front with my baking but what I haven't mastered is making my bakes look really pretty. 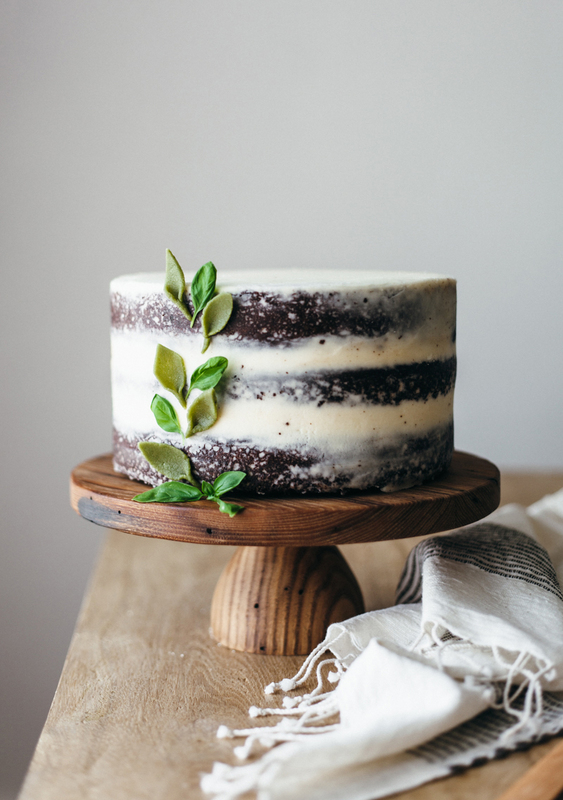 I have seen so many STUNNING cakes on pinterest, and I always wish I could whip up something like that for a friend for a birthday (or wedding even??!!) - but alas so far it has not happened yet. These are a few of my favourite looking cakes and what I am working towards. I have never done a tiered cake before and that is definitely something I would like tackle in 2014. Anyone else got any baking aspirations? I am totally digging black and white right now. I have set myself a little black and white instagram challenge for the year and on pinterest I have noticed that I have been drawn so much to black and white images recently. I decided to make a specifically black and white pinterest board. That is where all these images are from. You can check it out here and see where they are all from. Oh man I love pinterest. I needed a little inspiration pick me up this friday so I did little round up of some of my favourite things on my TYPE pinterest board right now. All of this is making me want to hole up in my little home studio tomorrow and just paint watercolour letters all day long. Maybe I will do that. I hope you all have a lovely weekend whatever you are up to! One of the exciting thing about being married is the extra space we have. It is such a luxury in London to have a spare room to have people to stay. At the moment it is full of all our junk and things that need to be sorted/taken to the charity shop...BUT I am getting excited about decorating and make it all lovely for our guests. 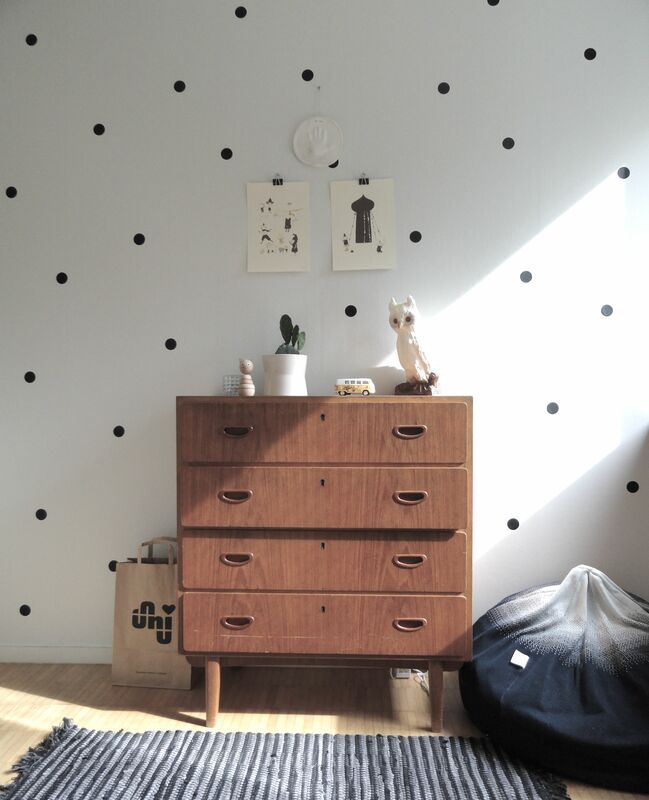 Here is some inspiration that I found on pinterest a little while ago in anticipation of the spare room! I you want to follow me on pinterest you can here. One of the other things that I am really excited about is the Kitchen. I have to be honest this is mainly going to be NM's domain...because he will be using it the most - but I am still excited about getting it all organised and lovely so that we can have lots of people over for dinner. I have rounded up a few pics of some awesome Kitchens from pinterest and boy are there some organised and clever people out there. Will keep you posted on how it all goes, but I am pretty sure I am going to have to stop NM taking every single thing out of the kitchen and re-organising it all the day after the wedding! and you can follow me on pinterest here.